We offer our valuable clients a comprehensive assortment of Body fuel Exercycle for maintaining the fitness of the body. These are widely used in health centres, gyms and homes which are easy to use and high on quality. Our range of products is highly tested for their efficiency, reliability and for their high performance, and also we use latest technologies to meet the specifications of the clients. 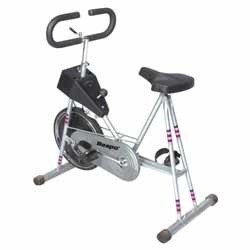 These Exercycle With Rowing Arm are extensively in demand across the nation as well as international market which are well known for the optimum durability, efficient in functioning and superior finish. 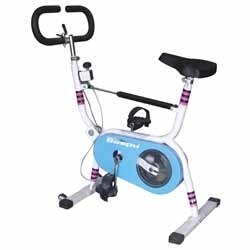 Our range of these exercise cycles can adjust the speed level based on the specifications given by clients. We offer these as per standard norms at cost effective prices. 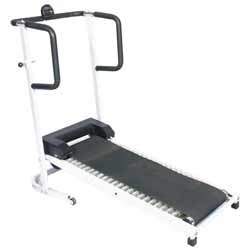 We provide a special grade Foldable Rollers Treadmill to our clients, which can be used in various gyms and health centres for body fitness. These products are widely acclaimed for corrosion resistance, sturdy construction and optimum performance. 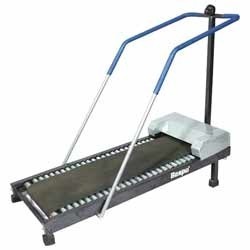 It has adjustable speed and can walk comfortably on it. Our range of these equipments is provided as per the diverse necessities mentioned by our clients. With the assistance of our team of professionals, we are involved in manufacturing and exporting vast gamut of Heavy Duty Roller Treadmill. These are designed in accordance with international standards and also come in customized forms. They are acclaimed for its durability and high grip to walk. 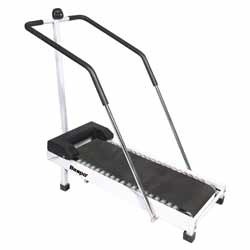 Looking for Exercise Treadmills ?